Learning to Drive? 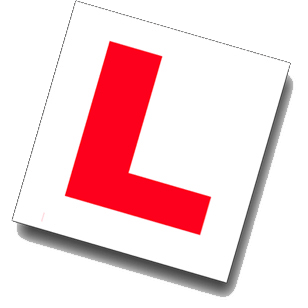 Driving instructor answers all your FAQs! 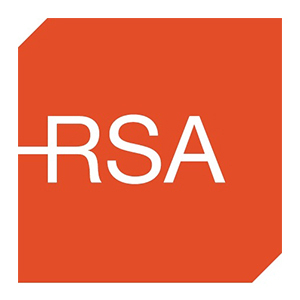 Want to drive in Ireland? 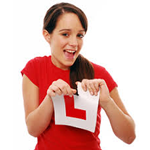 We answer your most common FAQs (Frequently Asked Questions) to prepare you for your Driving Test in Ireland. We’ll help you pass – call us today on (01) 627 5995 or 086-0440157. 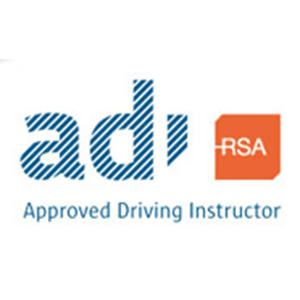 We’ll do our best to put you at ease and gently build up your confidence and driving abilities until you are a capable and safe driver ready to pass your driving test. Call today – you won’t regret it! 1 When can you overtake on the left? When the driver in front of you is turning right,when you intend to turn left,when vehicles in the lane on your right are moving slower. 2 At an uncontrolled junction with all roads of equal importance to whom should you give the way? 3 At a stop sign that has no white line, where should you stop? 4 What position would you take up for a right turn in a one-way street? 5 How would you turn right on the main road? Mirror and signal and then move into the right hand lane when clear, keeping left of the white lane in the centre of the road.When a safe gap opens, complete your turn, never cut your corner and give right of way to pedestrians. 6 How would you know a zebra crossing at night? 7 What does the island in the pedestrian crossing mean? Each side of the road is a separate crossing. 8 What restrictions are there in in relation to the use of the horn? It must not be used between the hours of 11.30pm (23.00hrs)and 7.00am(07.00hrs)in a built up area, except in an emergency. 9 When driving at night when should you dip your dip headlights? (a)When meeting on coming traffic. (b)When following close behind another vehicle. (c )On continuously lit roads. (d)In snow,fog,dusk,dawn. 10 What should you do if dazzled by light of oncoming car? 11 What is a clear way? Stopping or parking is prohibited (except by buses and taxis) For the period indicated on the sign. 12 What broken yellow line mean? 13 What does a single yellow line mean? 14 What is legal parking distance from the kerb? 15 How close to a junction can you park? 16 Where should you not park? At a bend,a junction,the brow of a hill,a hump back bridge,a continuous white line,where your vehicle would obstruct a sign,at an entrance,at a bus stop, opposite another vehicle on a narrow road or taxi rank etc. 17 Where should you not over take? At a bend,a junction,the brow of hill,a hump back bridge,at a continuous white line or anywhere your view of oncoming traffic is restricted. 18 What is the two second rules? Stay two seconds behind the car in front.Use a stationary object on the road,start counting when the car in front of you pass the object and you should pass after the two seconds. 19 If you saw a red triangle on the road what would it mean? Than there is an obstruction on the road ahead. 20 What is the sequence of a traffic light? 21 At a junction when traffic lights are not working,to whom would you give way? 22 What does a green light mean? 23 What does a amber light mean? 24 Name the people in authority for whom you must stop? 25 If you are entering a one-way street at the no entry end,what road marking would you see? A continuous white line with a broken white line behind it. 26 When can you cross a white continuous white line? To avoid a obstruction,for access,or if there is a broken white line on your side of the road. 27 (a)What is the speed limit on the national primary road? (b)What is the motorway speed limit? (c )What is the minimum legal tyre depth? 28 What rules apply to a junction box? You cannot enter unless your way ahead is clear.The exception is when turning right you can enter and wait in the box if you are not obstructing other traffic. 29 Is there are two sets of whites lines in the centre of the road one continuous,one broken,which one would you obey? You obey the line on your side of the road. 30 What two sets of broken white lines in the middle of the road mean? 31 What does a broken line in the centre of the road mean? You may over take if it is save to do so. 32 What do white horizontal lines in the centre of the road mean? You use them as a traffic island;you don’t enter.